Regardless of the specific type, industrial waste can create hazards for you, your company and your community as well as the environment. Industrial chemicals and liquid waste create a hazardous situation but even dry waste such as metal, building materials and more, can create problems such as offering pests a refuge, being risk-laden and more. Efficient and safe disposal of industrial waste is not only crucial to protecting yourself and your business, it is the law in many locations. Here are some eco-friendly ways to manage your industrial waste. While it might be tempting to pile all the waste at one place, it is better to provide separate temporary storage locations for each type. The best way to accomplish this would be to purchase or rent a skip to allow you to place the correct waste type in the correct space. This also makes it easier for the disposal company to remove the waste and it helps to prevent the waste from piling up and creating a hazard. Lumber, plastics, metals, concrete and more can all be recycled. Scrap metal collection in Sydney is easy to come and often the same recycling company can handle all your other recyclable waste as well. Not only does this prevent waste from filling up landfills, it also puts a positive spin on your company. This is something you can add to materials to help attract new customers and contracts. Efficient disposal of waste is mandated with many large projects and it can help your company secure more than perhaps other companies in the same business. All due to your ability to recycle and handle your industrial waste. The production of waste is inevitable with any project, however, you can take steps to reduce your waste production. Efficient ordering processes, proper location oversight and more can help you reduce and control your waste to the point of requiring less cleanup and disposal. Again, not only does it improve your bottom line but it promotes your company as well. A company that can control wastes means it can control costs, and this puts your company in a much better position when negotiating for contracts or looking for new business. Just because a company claims to offer inexpensive disposal is not a reason to take them as a partner on your project or projects. The right disposal company has the means and the facilities to properly dispose of your industrial waste. This includes the ability to transport and break down the material for recycling if possible. Improper disposal of industrial waste can cost your company more than just money, it can cost your company goodwill with clients. The right disposal company will work with you to develop the right solution for your situation. Getting control of your waste, separating your waste for proper disposal and recycling when possible all work together to help make your waste disposal efficient and cost-effective. 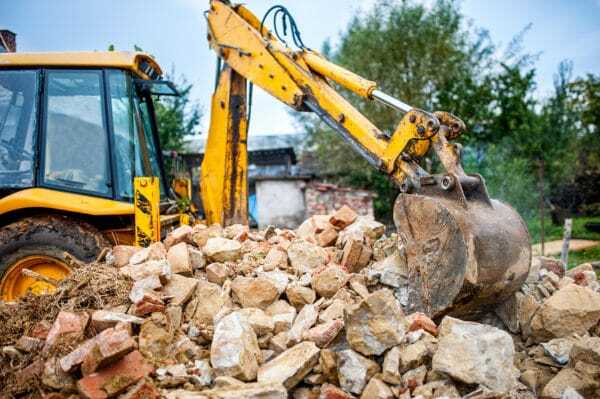 By additionally partnering with a knowledgeable and professional disposal company, you can be assured that your industrial waste is being handled properly and in accordance with all local and state regulations. It is by far easier on your company to develop your waste management plan and find the right partner at the outset of a project than trying to clean up the mess after discovering that your plan and partner was insufficient.